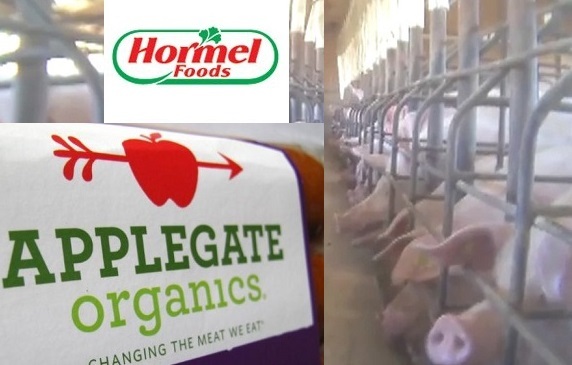 Animal Abuse Linked to Big Food…Again – FIREPAW, Inc.
Packaged foods maker Hormel Foods Corp said on Tuesday that it had suspended operations at one its pork suppliers in Oklahoma until it investigates claims that pigs were being abused at the farm. Animal rights group Mercy for Animals released a video last week that showed large number of pigs and piglets constrained in small spaces, being treated cruelly and left to suffer from injuries and illnesses without veterinary care. The video, which is 2 minutes and 26 seconds long and is available on YouTube and on Mercy for Animals’ website, was part of the group’s undercover investigation at the Maschhoffs farm. This is not the first instance that an animal activist group has released a video showing animals being treated cruelly at a Hormel supplier. In 2015, Compassion Over Killing released a video showing workers at a Quality Pork Processors Inc plant beating, dragging and slitting the throats of live animals.